On Friday French President Francois Hollande headed a delegation aiming to promote France's 2024 Olympic bid, and said that the wave of recent terror attacks in France should not harm Paris' chances. The Olympic Games opened in Rio de Janeiro's Maracano stadium on Friday evening, and French President Francois Hollande was among the attendees. 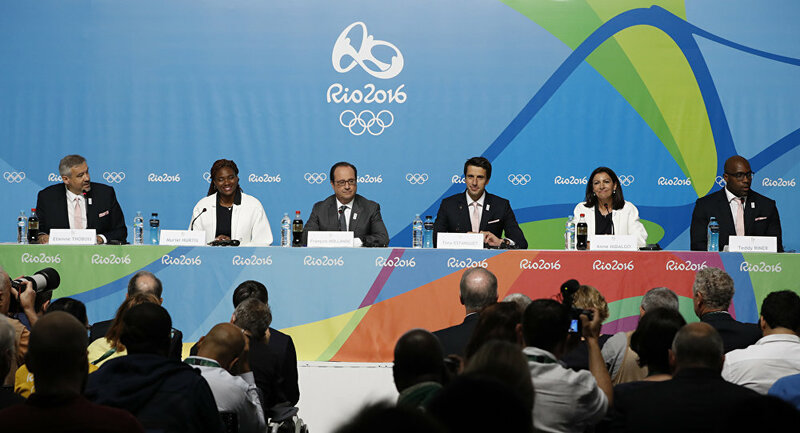 Hollande headed a French delegation on a two-day visit to Rio, aiming to promote Paris' bid to host the 2024 Olympics. "Our main advantage is that the whole of France supports Paris. Marseille, for example, sailing competitions will be hosted in Marseille: the whole country will participate regardless of political affiliations," Hollande said. The French President, who met with International Olympic Committee President Thomas Bach during his trip, said that the recent Euro 2016 football tournament held in France was good preparation for ahead of an Olympic bid. Because France faced several terrorist attacks prior to the tournament, there were fears that terrorists could strike during the Euros. While the tournament passed without incident, a few days after it ended a terrorist carried out an attack in Nice, killing 85 people and injuring hundreds more. Talking about the French bid on Friday, President Hollande sought to assuage fears about the risk of terrorism in France, and said that any country faces that risk. "We must show that life goes on," said Hollande, adding that "no country should think it is immune from a terrorist act." Roger Marion, former head of police in southern Marseille district, told Sputnik Francais that the authorities were able to successfully prevent an attack during the football tournament, but the attacks in Nice and Normandy show that the authorities need to reorganize their anti-terror efforts. "The European Championship took place without any incidents, but the problem is that the terrorist threat that preceded the Championship created monstrous crimes. Terrorism tends to occur where it is unexpected, and terrorists know how to pick their targets very well, whether that is here or abroad," Marion said. Ahead of the Euro 2016 tournament, the French authorities released a mobile application called "Alerte Attentat," to inform users about a terrorist attack and help them stay safe. However, the application failed to work until several hours after the Nice attack. Marion said that France needs to reorganize its security services to prevent attacks, and welcomes the President's recent announcement about the creation of a National Guard to increase security. "In France the Vigipirates (national security alert) system and military support has reached the limit of its ability to prevent and deter attacks. We need to create a National Guard. A private security system will strengthen public safety mechanisms," Marion said. "It is clear that the state system, of regional organizations and municipal police is vulnerable, the municipal police are unarmed and lacking in training and professionalism to counter the terrorist threat." Former IOC Committee member Jean-Claude Killy told Sputnik that he is enthusiastic about France's 2024 candidacy despite security concerns. "We are talking about 2024, it’s a long time away. I don't think that terror attacks are an exclusively French problem, and strikes are not exclusively a French problem. Recent times in France have been tough, we have suffered a lot. However, the Olympics are not taking place in three month's time, and we will continue to fight, and support France's 2024 bid with optimism and will to win," Killy said. Rio de Janeiro is the first South American city to host the Olympic Games, having beat out competition from Chicago, Madrid and Tokyo. In 2013, the Japanese capital then won the contest to host the 2020 Olympic Games. Paris, which hosted the Olympics in 1924, is one of four cities bidding to host the 2024 Olympics: the others are Rome, Budapest and Los Angeles. 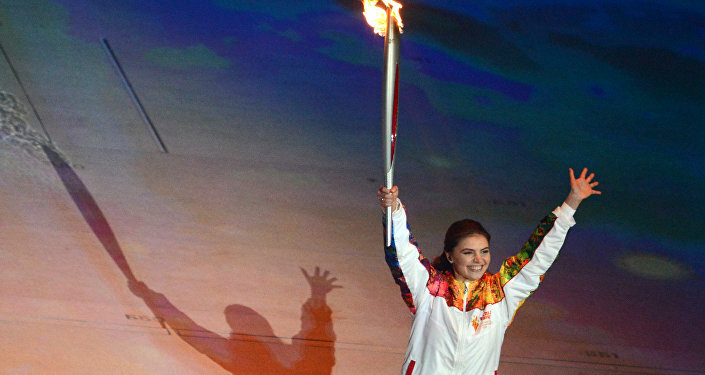 The IOC will make the final decision in September 2017.